Hanukkah: God's Great Faithfulness to His People! Hanukkah or Chanukah is an interesting Jewish holiday that most of us know little about. It's also known as the Festival of Lights, and the word means dedication. It is actually one of the less important Jewish holidays, but because it is so near to Christmas, it has become much more popular. We see blue stuff and menorahs everywhere during Christmas, but beyond that, most of us know little about this holiday of God's love for His people! It's a holiday that follows the Jewish calendar and is celebrated for eight days. The Jewish calendar is lunar based, so each year the holiday falls on a different days. It usually falls between late November and late December. In 2014, it falls between December 16, 2014 and December 24, 2014. It's the story of God showing His love for His people, and their desire to honor Him by remembering what He did for them. It's a story that happened over 2000 years ago when the Holy Lands were ruled by the Greeks. A small army of faithful Jews defeated the Greeks and drove their army from the land. That was a miracle because the Greeks were very powerful. God had handed over the powerful to the weak. The Jewish people reclaimed their Holy temple in Jerusalem, and rededicated it to service to God. Part of that service was to light the menorah. There was only enough purified olive oil to light the candle for one day. It burned for eight days, until more purified oil could be made. God had done another miracle. To commemorate these miracles, the festival of Chanukah was started. Each night of the 8 day festival, a new candle of the menorah would be lit, remembering the 8 days that God kept the candles burning. By the end of the festival all eight lights are lit. Prayers of praise and thanksgiving are offered to God during this time. Lighting a nine branched menorah which is a candelabrum. Each day a new light is lit. By the end of the holiday, all eight lights will be lit. 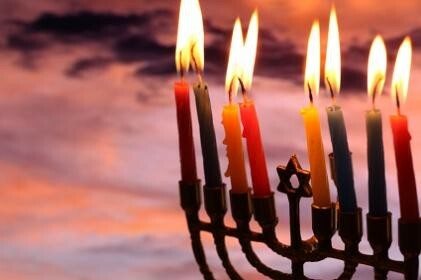 The ninth light is to have a light available to light the other candles, because it is forbidden to use Hanukkah lights for lighting the candles. Spinning the dreidel which is a spinning top that includes Jewish letters that mean, A great Miracle Happened there! The dreidel is a four sided top. It's a game that is played during the holidays. Hanukkah gifts of money are given to children also. 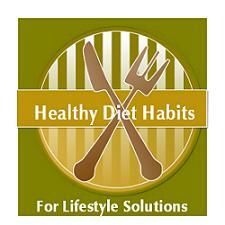 Eating fried foods which help remember the miracle of oil. During Hanukkah many families invite their relatives and friends over to light the Menorah, play dreidel, exchange gifts, and eat traditional holiday foods. Meat: Usually brisket or chicken is served. Side dishes usually include the most popular food called Latkes. Traditionally they were made with potatoes, but today there are twists on this favorite, from sweet potatoes to other vegetables, and even tuna latkes. Each family has their traditional recipe, but all are fried. 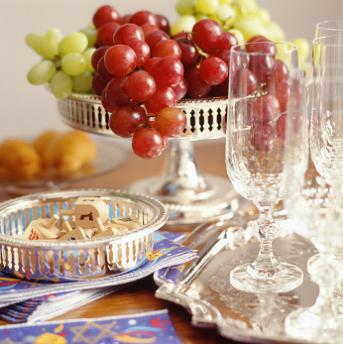 Dairy: Serving dairy is another tradition, so cheeses are often served. Deep-fried jelly filled donuts called Sufganiot. These are especially loved by all kids. Traditional treats of cakes and cookies. 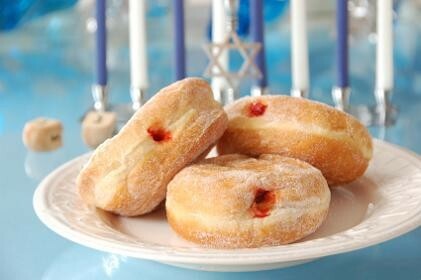 There are cut-out decorated sugar cookies, cupcakes shaped like Menorahs, many other cakes and cookies, candy dreidels, and the jelly donuts! God has been faithful to the Jewish people throughout history. I love the fact that they set aside Hanukkah to remember God's faithfulness to them, and to bring Honor to Him. Many blessings to all as you celebrate this awesome holiday of Gods Great Faithfulness to His People!